I was born in Nice and educated in France. I studied at Ecole Normale Supérieure in Paris, to which I was admitted in 1984. In 1985, I earned a Licence (equivalent BS) and a Maîtrise (MS) in Physics, from the Université Pierre et Marie Curie (Paris VI at the time). At that point, I decided to pursue studies in the then burgeoning field of nonlinear dynamics and, in 1986, completed a post-graduate degree (Diplôme d’Etudes Approfondies) in Dynamical Systems and Turbulence at the Université de Nice. Three years later, in March 1989, I received my doctorate in Theoretical Physics from the University of Nice. In 1989, I was hired by CNRS (the French National Center for Scientific Research) and worked as a researcher first in the Department of Theoretical Physics at the University of Nice and then at the Institut Non Linéaire de Nice, based in Sophia Antipolis. 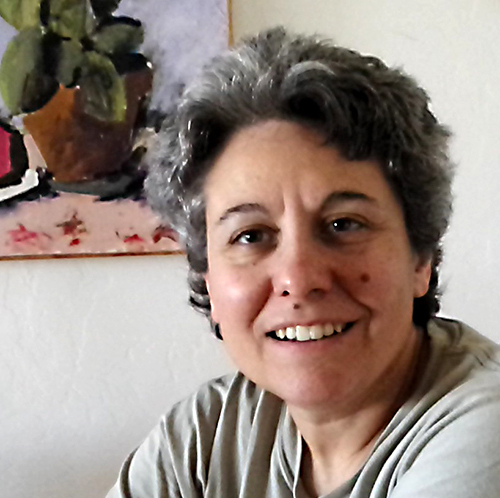 Between 1990 and 1997, I established various collaborations with researchers in the Department of Mathematics at the University of Arizona, first as a postdoctoral fellow and then as a Visiting Assistant Professor. I was hired as an Assistant Professor of Mathematics by the University of Arizona in 1997, was promoted to Associate Professor with tenure in 2000, and to full Professor in 2006. I have been a member of the Program in Applied Mathematics since 1997 and became a joint faculty in the College of Public Health in 2017.